Home > Special Offers > Service > New Engines or Transmissions For a Low Price! New Engines or Transmissions For a Low Price! Trouble with your engine or transmission? Why not rebuild with our great prices? 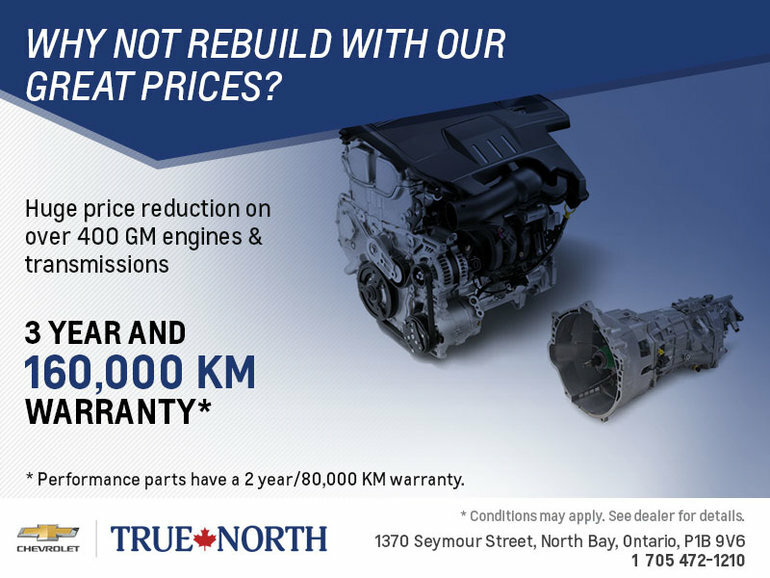 Have your engine or transmission replaced thanks to True North Chevrolet Cadillac LTD's low prices! The engines and transmissions are equipped with complete warranties, 2 years / 80,000 km or 3 years / 160,000 km. Don't wait. Book your appointment today!